If you follow me on twitter or have read some of my previous posts you will probably be aware that I am currently training for a 10 kilometre run. As someone who has always hated running and could barely run for 10 seconds without feeling like I was dying, I knew I needed to be gradually eased into it. That's where the NHS Couch to 5k (C25K) app came in to play. I'd heard lots of things about this NHS programme designed to get you from 'the couch' to being able to run 5k in 9 weeks through running 3 days a week following their plan involving a combination of walking and running. Each week the length of the running intervals would increase until you were running without stopping for 30 minutes. This programme seemed like the best way to get started with my training and as it was free I downloaded the iphone app and got started. Although the programme recommends running 3 times a week for 9 weeks I decided to aim to run 6 times a week and therefore complete the plan in 4/5 weeks as I needed to be able to run 10k by the end of September. Although most weeks I ran for 5 days I don't think that by running more than the recommended 3 times I was hindered or put more at risk for injury. The only possible downside I could see is that you may not be ready for the next week and might be discouraged if you can't complete a run. The programme is designed to gradually improve your fitness, for example in the first week you alternate running for 60 seconds, then walking for 90 seconds, something I found a big struggle to begin with, however by the 4th week (my 2nd) I was able to run for 5 minutes straight something that made me so happy I nearly cried. I've now been following the plan for just over a month and Im on week 8 and running for 28 minutes at a time. This is a massive improvement to see in just over a month and something I am very proud of. Without this programme I doubt I would have been able to run for this long or would have stuck to my training. I really recommend this programme for anyone wanting to get into running. Now to review the actual iphone app. To begin you are greeted by the above picture from which you can scroll across to find the week and day you are on. It gives you a description of what you'll be doing in that session which can be a bit scary. When you start the session you are spoken to by Laura who introduces you to session and then talks to you throughout the run letting you know when to stop and start running, and how long you've got left during the longer runs. This was one of the best aspects of the app, she was very encouraging and motivated you to keep going, she also praised you at the end and gave tips to help improve your run. 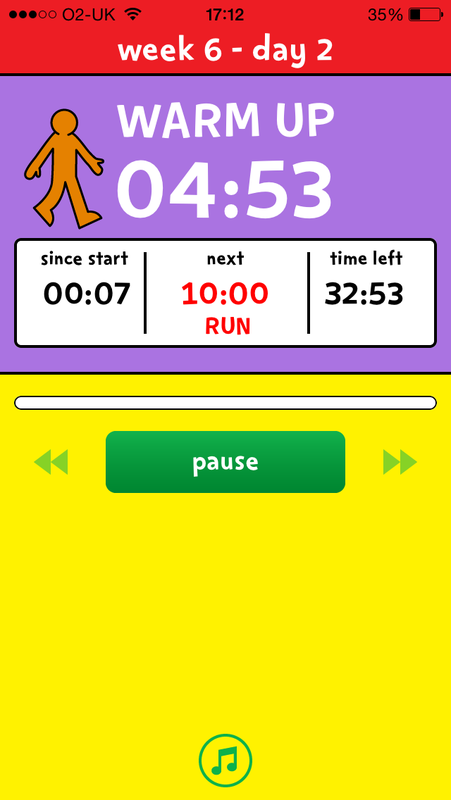 You can listen to music along with the app which is definitely a bonus, you can also look at the app to see how long you've got left, how long your next walk or run is and how far into the session you are. I did find the app to be a bit difficult to use in that it sometimes wouldn't load and I'd have to close it and open it again, however while running it was okay. A major issue I found occurred around the week 5 mark where I began running longer distances of 8 minutes. After the 5 minute warm up walk when I would start to run I would check the time on my phone clock and work out the time it would be when I would stop running and walk again, after what my phone said was 8 minutes the app said I had only done 4 minutes. This meant I kept running and would have then run for 12 minutes or so. To start with I was unsure whether I had miscalculated or maybe accidentally paused the app, however this happened again on other days. When I got to the end of week 6 and had to run for 25 minutes straight it happened again and said I'd only done 5 minutes when I'd done 10 or so. I became very angry and stopped the app deciding to instead time myself using my phone timer as this was more reliable. I've now given up using the app and moved onto using the Nike Running app which measures your distance and time. As Im now running for much longer solid blocks of time I don't find I need the encouragement off the app. 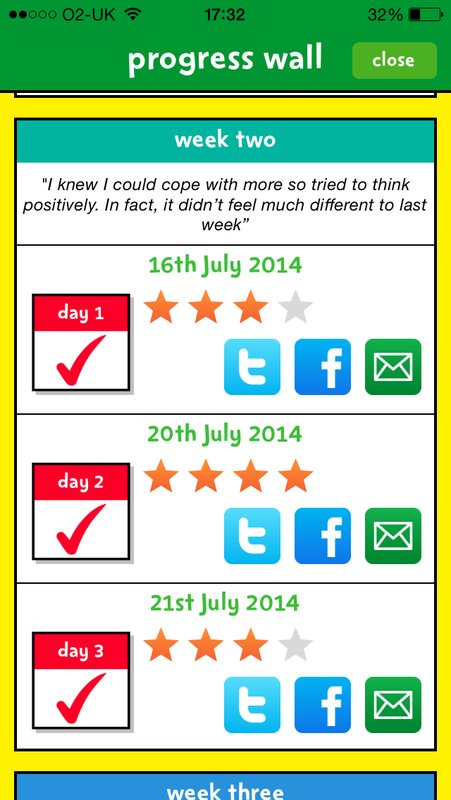 Overall I think the programme behind the app is an amazing way to get someone into starting running, without it I doubt I would have got to where I am now, I liked Laura and how encouraging and motivating she was. I also like the progress wall where you could see how far you had come and also rate each run on how you felt it went. However the glitch or problem with the app not correctly registering the time I had run was a serious negative point. Im not sure If it was just my app, my phone or even me but it was incredibly disheartening thinking/knowing you'd run for longer than you were being told. After week 6 the runs are all long continuous runs for 25, 28 and 30 minutes, and I think by this point you could move onto an app that records both your distance and time as you don't need to be told when to stop and start running or need as much encouragement. 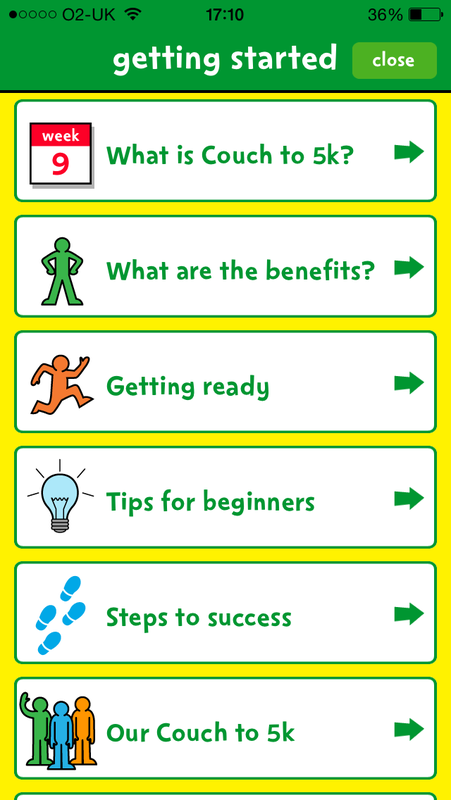 In summary I'd recommend the app for the first few weeks of the programme to get you into the routine of running and also to encourage and motivate you to keep going. However once you're running for longer periods of time without stopping and starting again I'd recommend moving on to a the Nike Running app and also taking note of the distance you're running. Just make sure to stay motivate to run regularly and keep improving your run each time. 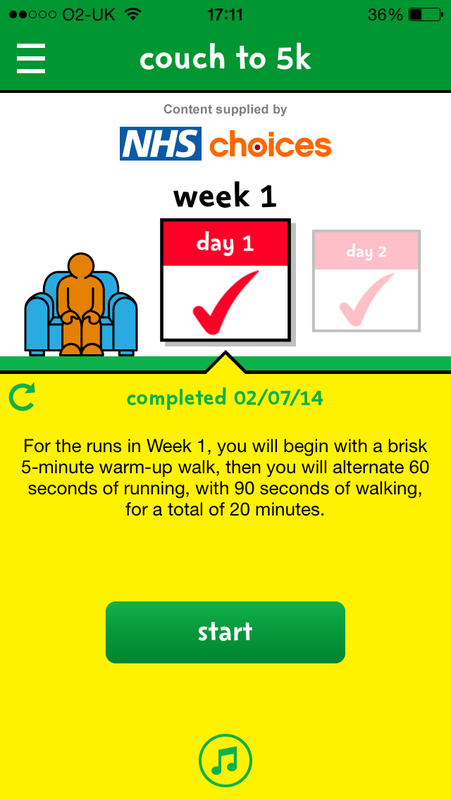 Have you ever tried to Couch to 5k app, if so what did you think? Are you an avid runner or are you a bit of a novice like me? i've recently started going running and managed to get up to 8 minutes without stopping - but i never thought of trying an app to help! this one sounds great, and it's amazing that you went from 5 minutes to 28 minutes so quickly! I've definitely got more into it, although it does take some encouragement and motivation to do it still. Wow thats amazing, good luck with that! Im slightly freaking out about this 10k but I'm sure i'll cope. Im still pretty bad at exercising and i have to force myself to run, so I know how you feel. It's a great app for starting running though. I started running with a C25K app (though not this one) and I really loved it. I think it is definitely a great way to get started, and it gave me more confidence in myself! I really love it, so useful for just getting started in running, I wouldn't have got this far without it!